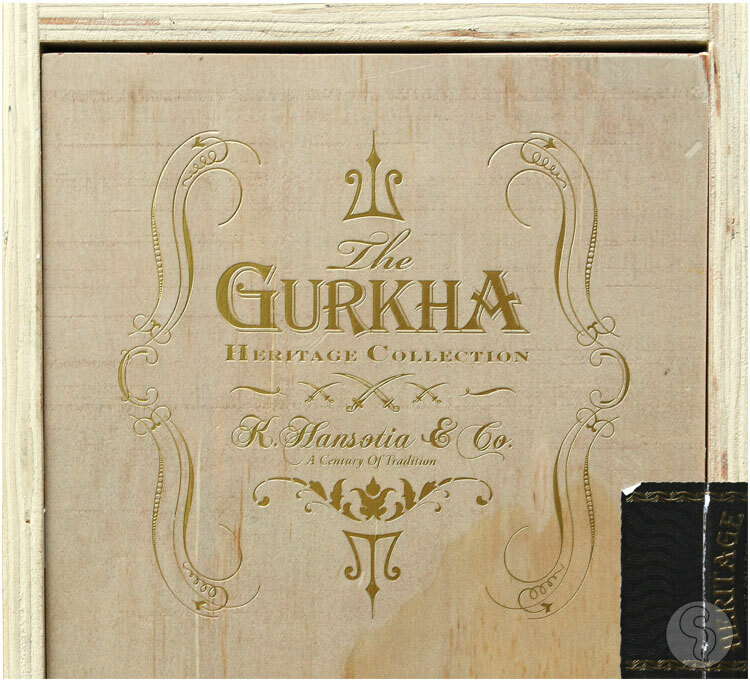 If you're a fan of premium cigars, you no doubt know the Gurkha name, along with its always-impressive packaging. New for 2015, Gurkha now introduces the medium to full-bodied Gurkha Heritage. Heritage was hand-crafted in Nicaragua at the American Caribbean Tobacco factory under the guidance of Juan Lopez (Gurkha's National Sales Director & in-house blender) and approved by CEO Kaizad Hansotia. Undergoing a special blending process, the cigars slowly took shape, utilizing an Ecuadorian Habano Rosado wrapper over a Nicarguan binder, and fillers of Nicaragua, Dominican, and Pennsylvania. With careful attention to detail and expert craftsmanship, the new Gurkha Heritage is sure to impress. The cigars are finished in a cedar sleeve, showing a fuller-bodied experience of coffee, dark chocolate, cedar, and just the right touch of spice!